(Newser) – Prince Charles has roused a Guardian reporter's ire by allegedly making a racist remark about her, People reports. Anita Sethi met Charles this week at the Commonwealth People's Forum, and when she told him she's from Manchester, he apparently said, "Well, you don't look like it!" and laughed. Sethi, a woman of color, says she was stunned. "Since it happened I have been through all the feelings—from shock to humiliation to rage," she writes in the Guardian. "This is exactly why some people, including the prince, urgently need a history lesson about immigration, the British empire, the Commonwealth and colonialism. Because I do look like I'm from Manchester, actually—a city in which many people of color have been born and bred." i guess no matter how dark the skin it is still tissue thin ?? Anita Sethi is the racist and she made a completely unsubstantiated accusation just to get herself the publicity she knew it would give her and the resultant cash it would quickly bring. 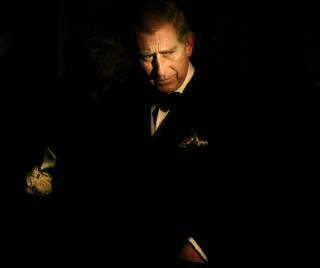 Prince Charles is not at all racist and every Englishman knows it. They are so super sensitive about everything that they make it all about them. And If they can whine and cause drama they will do it.